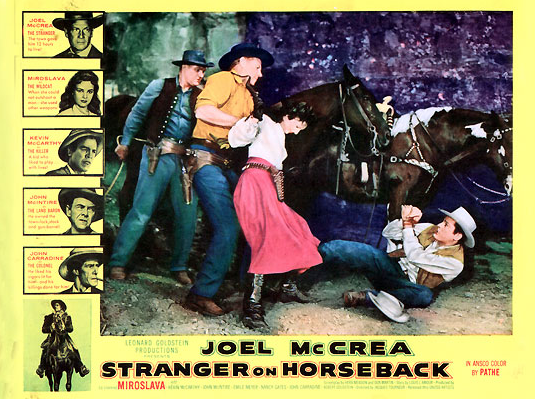 The Joel McCrea Blogathon: Stranger On Horseback (1955) By Guest Blogger Allen Smithee. | 50 Westerns From The 50s. 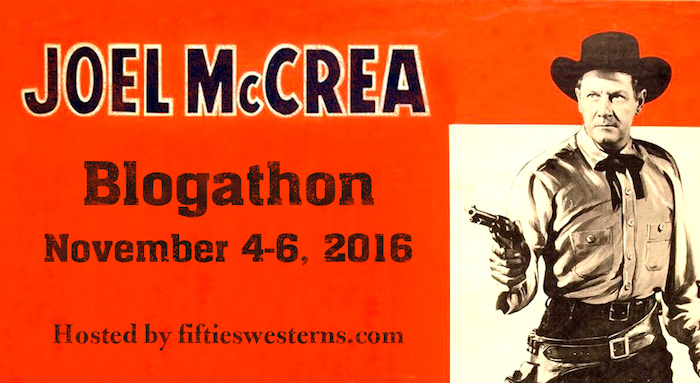 « The Joel McCrea Blogathon. Fascinating overview of McCrea’s 50s career and the, I believe you mentioned quirky, Stranger on Horseback. We learn which films from the period speak to us like comfortable companions and which we might skip for another day. 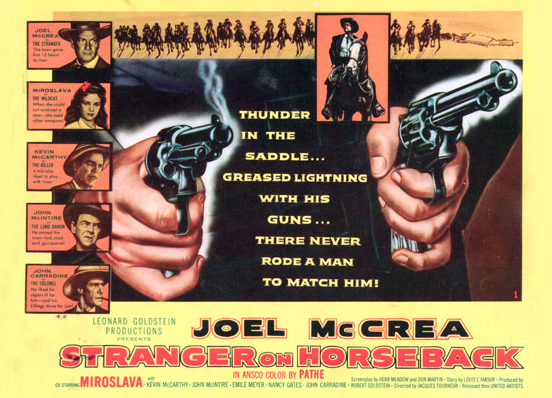 A very solid little movie which uses the talents of McCrea and the masterful Tourneur very well, and with another good Louis L’Amour story as its basis. There was a certain patchiness which crept into McCrea’s films as the decade wore on but I’m generally happy with them, even the lesser ones. I hare your hopes that the film may one day be restored and I think it does deserve to be seen in better condition than is currently possible. I so agree, Colin, that there is much enjoyment to be had even from McCrea’s lesser films 1955-59. Absolutely excellent piece here, Allen Smithee, on a thoroughly enjoyable mid-decade western. This certainly deserves restoration. You raised so many interesting points about McCrea, his films and his life. Agree with all the comments – and appreciate the perspective you bring to his career. I have not seen this movie but like you hope that it can be restored for a hopefully appreciative audience. Allen, a good review on a good western .I’ve always wondered if there was a longer version of this film and now that you mentioned the bathing scene in a pool it seems there may be . 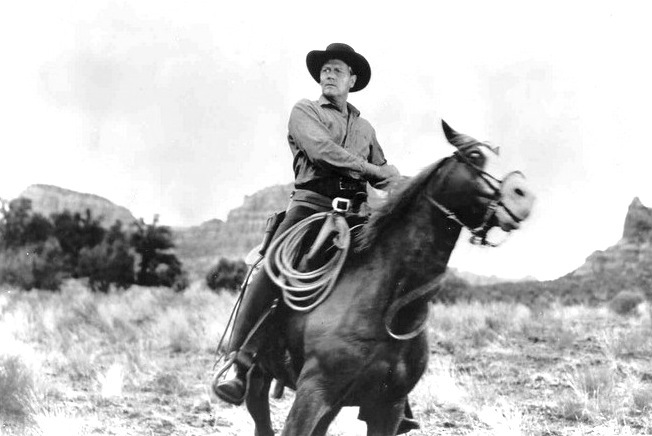 Was Joel McCrea’s TV show any good? It wasn’t on air for very long. Tom ,I’ve never seen WITCHITA TOWN ,but according to IMDB,it went from 1959-1960.
poor quality but the few I have seen indicate a good adult slanted series. that he had never worked with like R.G.Springsteen and Jerry Hopper. call it a day,remember TV was overloaded with Westerns at that time. James Coburn and Robert Vaughn. reading another person’s perspective on the film. overlooked-especially Joel’s non Western roles. I’d love a Part Two of this Blogathon sometime so that some of these other great movies could be included. I wouldn’t mind a second one, either. Would love to see more of his non-Western stuff included. Had one in the works myself, but didn’t get it finished in time. I saw this several years ago and frankly had forgotten about it! Your review reminded me that I liked it. Time for a revisit! As you point out, it’s unusually short. Would be interesting to know how it ended up the length of a “B” Western. 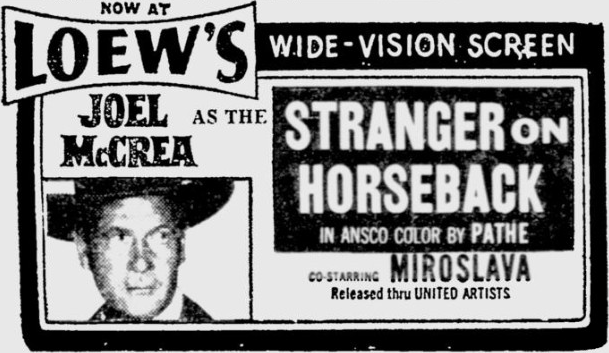 Joel McCrea in BAD DAY AT BLACK ROCK…that would have been something to see. I would have loved to see him clashing with Robert Ryan! Good one and lots of nice info on its connections–would have loved McCrea in Bad Day… I liked the trek over the rocks in this one, and finale, also nice ‘arcs’ and moments for Carradine and Miroslava’s characters. I’m glad you covered this gem and enjoyed reading it. I think you know we pretty much agree about the arc of McCrea’s later career–with this and the subsequent WICHITA 1955 made a strong end to the middle period of this later phase. And yeah, I miss Tourneur too, in the ones that followed, even when I do like them (but Tourneur, even if he was one of the greatest Western directors, was not going to be a specialist like Boetticher, and excelled in all genres and seems to belong in any of the ones he treated), except the last two by Newman as the 50s ended (RIDE THE HIGH COUNTRY in 1962 has to be considered on its own for both Scott and McCrea); Newman was really a cut above for many reasons and FORT MASSACRE was a superior script too. John, I’m personally OK with the DVD of SOH that we now have. If BFI had not had that print as a source, we’d have had only the black and white copies that floated around for so long, so I was very grateful. (I did see it in a theatre, later than first release but still with color unfaded so am grateful for that). I wouldn’t count on finding a negative of this–who would have it? SEVEN MEN FROM NOW was never thought lost. It was always known that it was in the Batjac vault, but rumored that a flood had water damaged it–and though people asked Michael Wayne was always reluctant to look at it. The restoration happened when I finally persuaded him to partner with UCLA and brokered the deal for them to restore it, but when he got it into their hands (and didn’t take long once it had been agreed on) it turned out those concerns had been ill-founded and the negative was OK. And of course, it looks great now. Looks like a slight typo has Leonard Goldstein dying at the age of 5 here (which would have made him an even more prodigious producer!). Of course, his age was 50. He had sure made his time count and it’s always seemed sad to me that he had died before some of these last excellent films like this one came out. For me, the masterpiece of all the movies he produced is THE RAID (1954; directed by Hugo Fregonese) and I believe his death preceded the release of that by no more than a month or two. Hmm, sorry–Leonard Goldstein had passed a May birthday and was 51 when he died in late July. But I remembered correctly about THE RAID–it had its U.S. release in early August, less than two weeks after that. to Toby..I had 51 in my original draft. PATHFINDER both sadly not available on DVD..
directed by Fregonese which sadly has not been released on DVD. THE MAN FROM DEL RIO and THE PROUD ONES were works in progress. carries a credit for Goldstein,again released after his passing. going to be a Gary Cooper vehicle directed by Gerd Oswald. and Robert L Jacks impressive track record bears this out. Peter Graves,Lee Van Cleef,Peter Graves,James Best and many others. many of Goldstein’s fine Universal Westerns. obviously Mr Jack’s affection for his old business partner. turned down by McCrea..I don’t know if any other readers can bear this out. Typo fixed. Sorry it took me so long to get to it. I continue to learn so much from the great stuff written here! Love Blake’s assessment of this film and his clarification re the restoration of “SEVEN MEN FROM NOW”, for which we all owe a great debt. Also love all the detail from our old mate, Allen Smithee, above!! Nice history re Goldstein and Jacks, Allen and I’m in accord with everything that you said about all those films. WHITE FEATHER is still underrated. One correction–that Fregonese is called BLACK TUESDAY (not FRIDAY). Indeed, “brutal noir” is a good description. Really a terrific movie and hopefully will be more widely seen eventually (I feel that way about most Fregonese). Blake,thanks for the correction re BLACK TUESDAY. to NAVY VS THE NIGHT MONSTERS. was Nicol’s sole effort as director. best early films as a leading man. transfer is a marked improvement over the DVD. Great that there is still some mileage in these McCrea titles. Lots of interesting trivia regarding THE PROUD ONES on imdb. explains his long association with Fox. 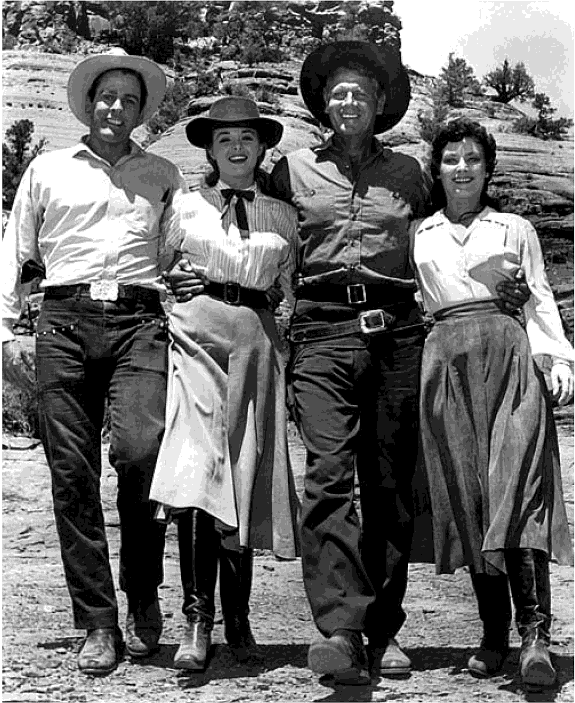 to star Victor Mature,Robert Wagner and Debra Paget. 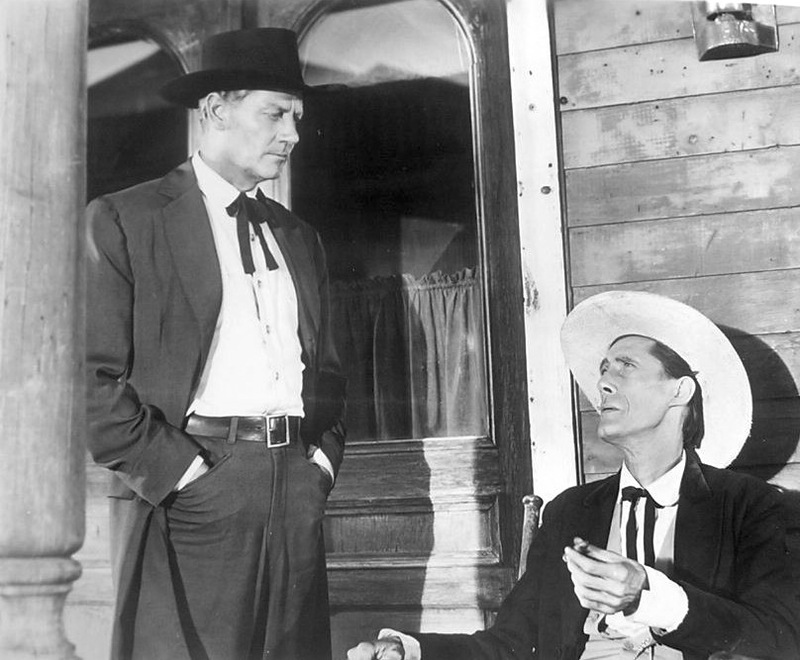 Robert Stack and Gregory Peck were also names connected to the film. to be released on Blu Ray. HEY GUYS, JUST TELL ME MORE ABOUT VAN HEFLIN EVERYDAY AND EVERY NIGHT?